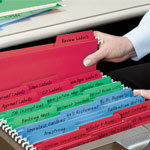 Most people think of colored labels on folder tabs when color-coding is suggested to improve a filing system. 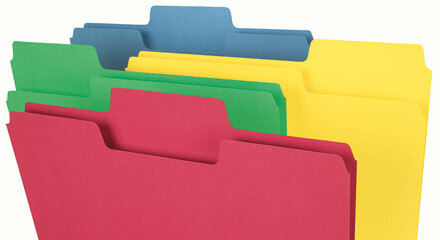 Although color-coded indexing is a proven timesaver, using the color of the file folder itself can also enhance office productivity. In many instances, using a specific color to mark certain types of files brings additional utility to the folder. 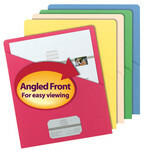 Colored folders are also helpful within your own office space. 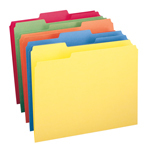 A set of neon colored folders in a desktop rack can make it easy to keep daily To-Do items ranked by priority. 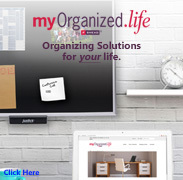 Folders colored for each day of the week can help manage tasks that need to be completed on certain days. 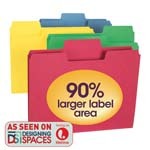 Financial, tax or other sensitive files can be a specific color so they can be easily spotted in a workspace and their access can be managed. 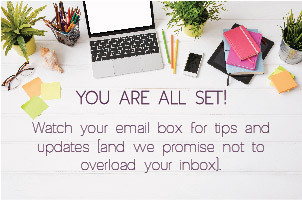 If you work on projects for a variety of clients, using a different color for each client makes it easy to gather all material for a specific client in a hurry for a meeting. 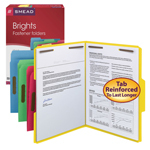 High priority material can be routed among staff quickly if it’s in a folder whose color stands out among routine office work. 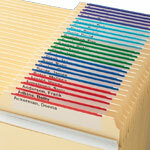 Colored filing supplies are a powerful tool for departments or individuals that want to achieve maximum efficiency. Take a closer look at how documents are being used in your office. 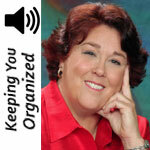 Look for ways where mixing or matching file folder colors can help you do your job better. Which is always a good reflection on your business.